I forgot to mention this last week, but this month’s theme is spiritual warfare. Talk about an intense genre! Today’s review comes complements of my brother. 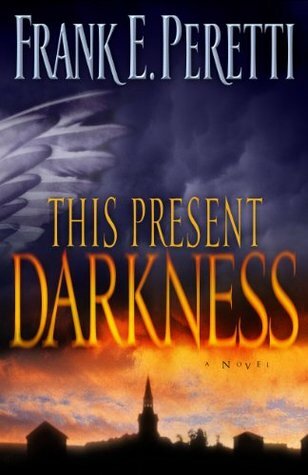 I wanted to include This Present Darkness, but didn’t have time to read it. Thankfully he did, and he was willing to review it. Enjoy! A small town pastor attempts to hold a struggling church together while the town’s newspaper man tries to figure out mysterious happenings at the local college. Both men are unaware of the supernatural battle taking place in their families and neighborhoods. Tal, a mighty angel captain, struggles to get the Christians to provide the prayer cover he needs to do his work as he battles an ancient foe. Can the newspaper man and pastor hold the town together and can Tal defeat his demonic counterpart? Peretti’s book is fascinating and exciting from the first pages. He makes the spiritual battle seem real, and it makes you think of just how little we really can see and understand of what is happening around us, and how effective prayer is. 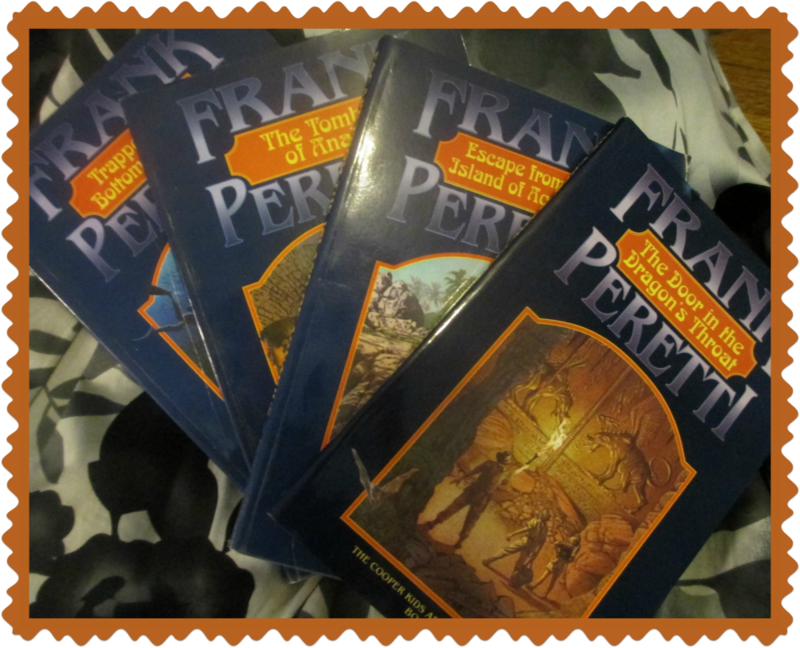 This is definitely a very intense book that is probably best for readers over age fourteen. 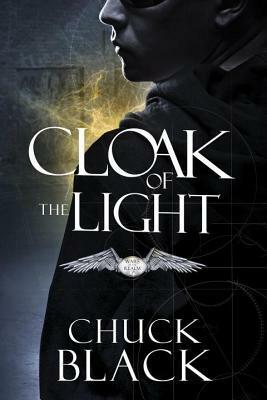 Cloak of the Light is one of those “impossible to categorize” books. It’s not quite sci-fi, not fantasy, not allegory. My brother purchased this at a homeschool conference last weekend, devoured it in a day, and declared it one of the best books he ever read. He described it as Spider Man meets Frank Peretti. 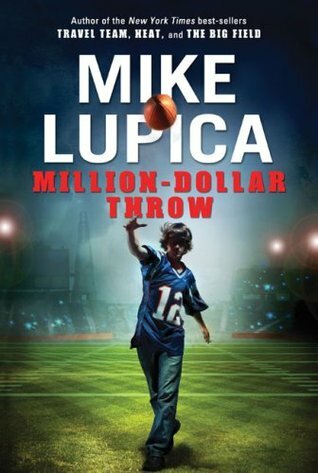 Life has thrown Drew plenty of curveballs, starting when he lost his father at age twelve. He doesn’t believe in God. He doesn’t believe his best friend’s conviction about the potential of alien life either. Not until he sees an other-earthly invader with his own eyes. In an experiment goes wrong, Drew gets zapped with the equipment used to see into the other realm and soon discovers that he can now see into it without a machine. He finds himself observing a battle between dark and light invaders. Who are these mysterious beings that are invisible to all eyes but his own? What do they want? And what can one young man do against a force of evil that can affect the hearts of men? I found the start of this book a little slow, but my brother said it drew him in from page one, so I’m guessing it’s a matter of personal preference and level of criticalness. If you’re like me, just view the first few chapters as an extended prologue and rest assured it will pick up soon. Chuck Black makes it clear in the afterword that this book is not intended to be an interpretation of actual spiritual warfare, but rather an imaginative, gripping story to help readers think about spiritual warfare as they might not have otherwise. I fully enjoyed the story and look forward to book two! I picked this book at our library used book store thinking it was a different story. After reading a few pages, I didn’t expect much. 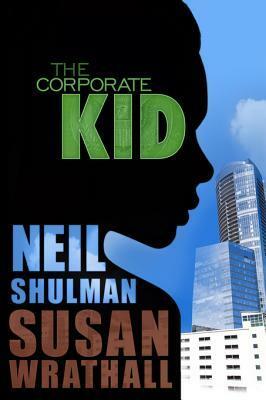 The Corporate Kid didn’t earn a five star rating from beautiful or well polished pros. 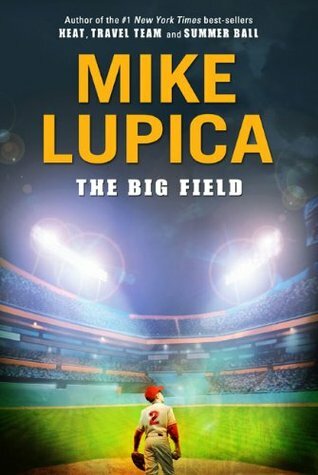 This story is unique because it’s a general market book with a purpose. Instead of the normal twaddle and/or junk of various descriptions that fills young adult stories, this one embodies and promotes morality. And it does so without preaching. That’s a pretty impressive resume…especially for a general market book. Fifteen year old Charles Sullivan has never had much. After his father’s death, his mother has worked two jobs and struggles to maintain their home in the hood. Their world crumbles yet again when a distracted driver hits her as they leave their church one Sunday morning. That driver, Bill Bradford, is CEO of Hospital of America. The last thing he wants to deal with is bad press over hitting a woman on the wrong side of town. He calls his lawyer and tells the man to take care of the situation. He doesn’t realize till later that he dropped his wallet at the sight of the accident. He doesn’t know that Charles Sullivan picked it up. That wallet, and the boy who picked it up, will bring the two families together in ways they never expected, and will challenge the way they think of each other. 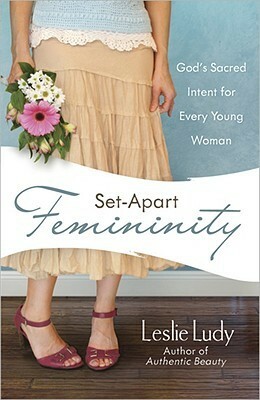 I’m so glad I mistook this book for the one I was actually looking for! Definitely recommend it!